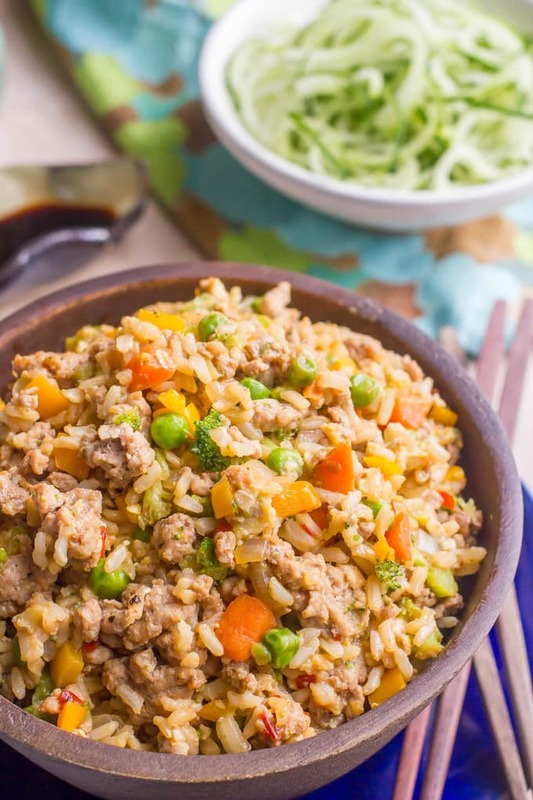 Spicy pork fried rice is an easy recipe that’s loaded with ground pork, fluffy brown rice and plenty of veggies. It’s ready in just 25 minutes and you can adjust the level of spice to your liking. 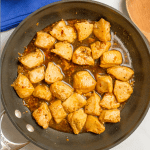 Perfect for a really flavorful weeknight dinner! How was your Memorial Day weekend? Did you travel? We stayed in town, but it was nice to have a day off and some extra play time with the kiddos. We made it to the pool (3 times! ), had a cookout, waved a flag and said a quiet thanks to all of those who sacrificed to make these things possible. 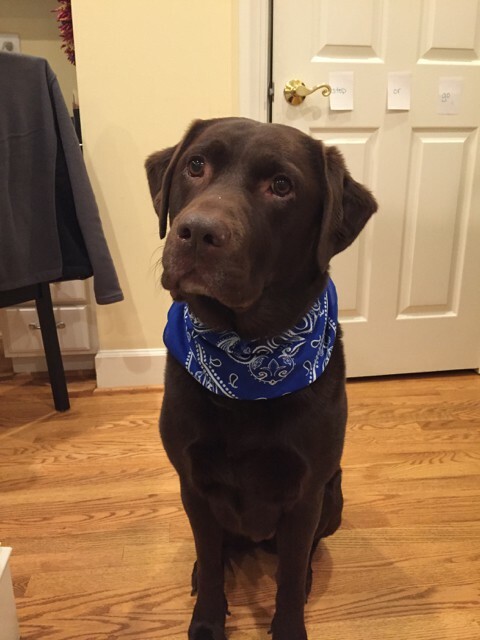 We also said happy birthday to our chocolate lab puppy Dixie, who is now 7 years old and not a puppy at all. Still sweet as ever though! After a weekend of all American food and fun, I’m bringing you another quick and easy weeknight dinner. And you know a dinner is delicious when you fight with your husband over the leftovers. We couldn’t get enough of this spicy pork fried rice! 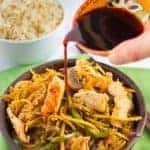 I love the balance of flavors – the sweet, tender vegetables (and I like to use LOTS of veggies in my fried rice), the fluffy rice, the meaty pork pieces and the silky soy sauce running all over everything. Plus, the spicy sriracha sauce infuses such a great background heat and is cooled down with the crisp cucumber spirals that add so much freshness to the final dish. We didn’t end up adding any extra sriracha at the table and this was perfectly spicy for us – not burning our mouths but had a kick. My husband and I had seconds that night and did battle over the leftovers a couple days later (I won. Cook’s advantage 😉) Just means I will be making it again soon! And again and again after that. Which is great because it’s so fast and easy — ready in under 30 minutes — and is full of veggies. 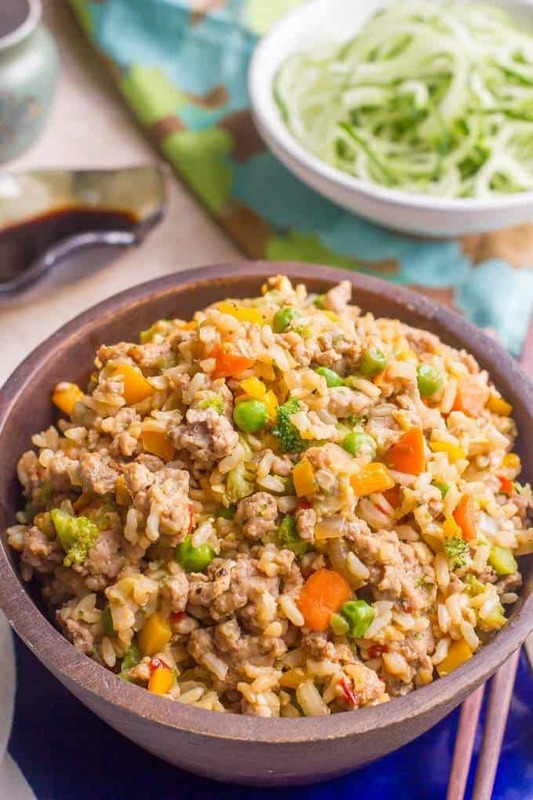 And it uses my new favorite shortcut, ground pork, which I also used for my quick and easy pork and broccoli slaw stir fry. I use ground pork to make this easy and fast. If you can’t buy any at your store, you can make it yourself with a good food processor. 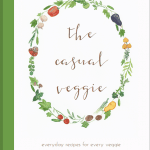 I love how veggie-loaded this is, but you can certainly substitute any of your favorites or omit any here that you don’t like. 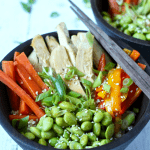 I use steamed brown rice but you could substitute white rice or cauliflower rice if you prefer. 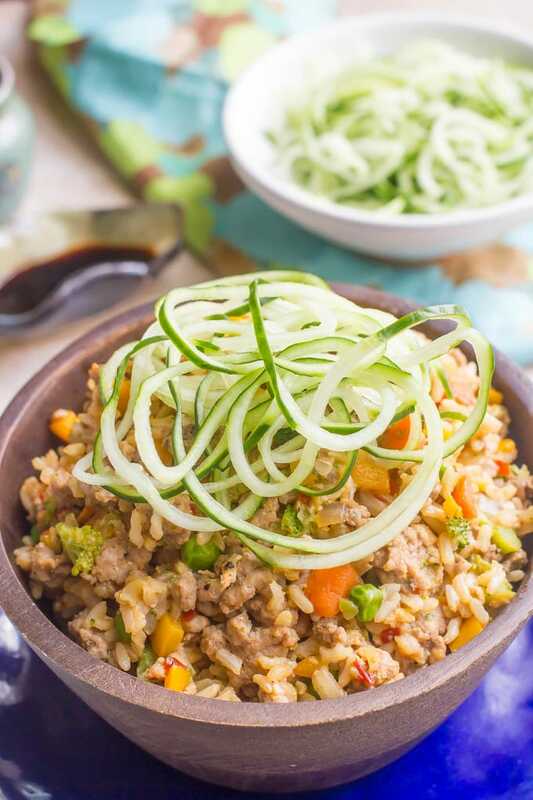 The spiralized cucumber is optional but it really adds a nice fresh, crisp and cool texture to this spicy fried rice. If you don’t have a spiralizer, you can cut the cucumber into matchsticks or use a vegetable peeler and to some long, thin strands. I hope you give this easy pork fried rice a try soon. And cheers to a short work week! 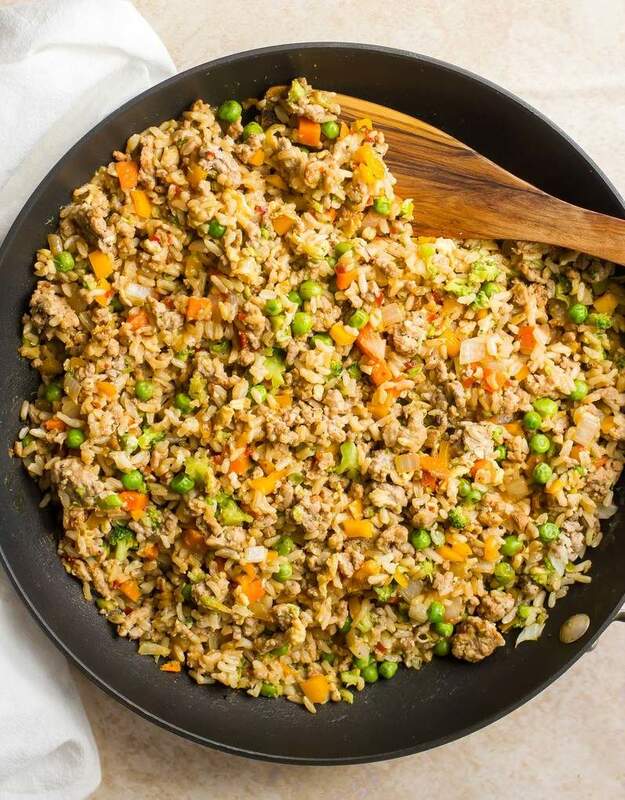 Spicy pork fried rice is an easy recipe that's loaded with veggies and ready in just 25 minutes! Heat the olive oil in a large skillet or wok over medium high heat. Add ground pork and season with 1/4 teaspoon each of salt and pepper. Cook the pork for 4-5 minutes, stirring and breaking it up, until it’s browned and mostly cooked. 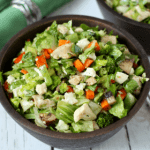 Add onion, broccoli, bell pepper and peas and carrots to the pan and season with remaining 1/4 teaspoon salt and pepper. Stir to combine and cook for another 3-4 minutes, until pork is cooked through and veggies are softened. Add cooked rice and stir to combine and warm it, 1-2 minutes. Clear a small area in your pan (I just push everything to one side) and crack in your eggs. Stir to scramble and cook the eggs, 1-2 minutes, then stir them into the rest of the stir fry. Add soy sauce, chili-garlic sauce and sriracha and stir to combine. Serve topped with spiralized cucumber and extra sriracha, if desired. Cooked rice is needed for this recipe. Please plan ahead accordingly. Need to tone down the heat? You can do half the amount of the spicy garlic sauce and omit the sriracha in the recipe. Anyone who wants it spicy can add some sriracha at the table. 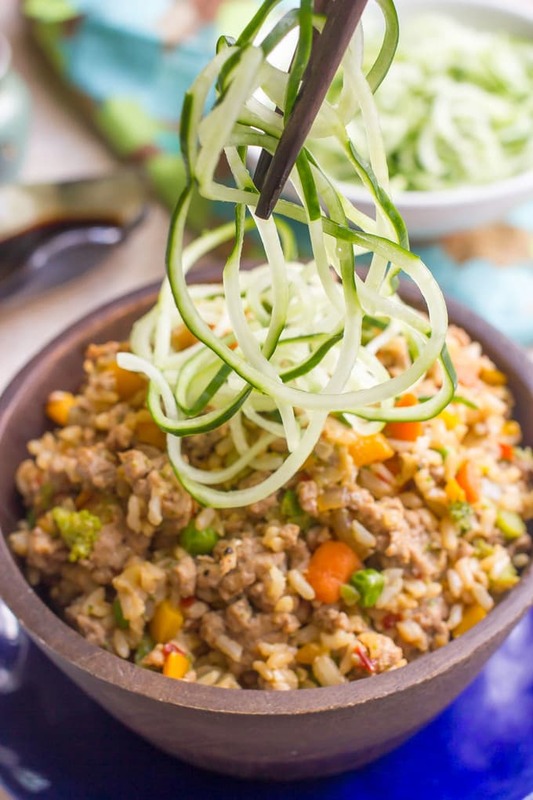 The spiralized cucumber is optional but it really adds a nice fresh, crisp and cool texture to this spicy fried rice. If you don't have a spiralizer, you can cut the cucumber into matchsticks or use a vegetable peeler and to some long, thin strands. ‘Too spicy for my mouth’ ….how adorable!! And happy birthday to your fur baby! Sounds like you had a lovely relaxing weekend! It’s definitely one where you want to eat the whole pan 🙂 Thanks Dawn! I love your birthday dog picture! Our dog is also named Dixie…nine years old and still a puppy at heart, all 70 pounds of her. Meantime, this pork fried rice looks right up my alley…spicy delicousness! Pinning. Glad you had a wonderful holiday weekend, Kathryn! Ours was pretty relaxing, so I can’t complain. And BIG happy birthday to your sweetie, Dixie! That face is just precious! Anyways, love this fried rice! You totally had me at spicy, girlfriend! Love the spiralized cucumbers on top! I have been eating spiralized cucumbers like crazy, so I totally need to add this fabulous dish to my list! Cheers, friend! Aw, thanks Cheyanne 🙂 Spiralized cucumbers are the best, right? They add such a great freshness and coolness to this dish! Thanks Amanda! The cucumber is a great way to cool it down and add some crunch! Once you go homemade with fried rice, it’s hard to go back! So easy and SO much better! Hope you give this version a try 🙂 And so sorry to hear about your sweet pup passing… I know that must be really hard. Glad the picture of Dixie brought a smile to your face. 🙂 Sending love your way! This looks delcious! I love the spiralized cucumber on top 🙂 Pinned. Kathryn this looks delish and I love a bit of spiciness! Lovely dish! Thanks for sharing with us on Throwback Thursday! I just recently bought a spiralizer and this looks like the perfect recipe to try it on! Thanks so much for sharing with us and we hope you’ll link up with us again! Happy Wednesday! You’ll love the spiralizer! Thanks for hosting! This is great for an easy dinner! It’s a good way to get in some extra veggies, too. Yes! I love fried rice for loading up on veggies! I love the addition of the spiralized cucumber! Thanks Lindsay! It adds a good pop of freshness to balance the spicy! 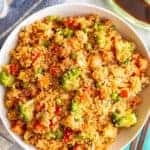 I love this version of Fried rice, perfect for dinner! It’s such a great dinner!